Fly to Warsaw on LOT POLISH AIRLINES or with its partner carrier SINGAPORE AIRLINES of STAR ALLIANCE’s close cooperation. Here begin grand tour on trains within a very stimulating region of Europe . Here history , culture , nature amalgamate into one colorful pastiche of amazing travel experiences. Seeing Warsaw’s major sites of Old Town , Lazienki Park provides one with idea of history of this great town , capital of nation which this year celebrates 100 years of its INDEPENDENCE . Next step for visitor is smooth ride by tram or metro to avoid rush of automobiles on the streets to Warsaw Central Station where the ICE train services to Berlin are provided . Only 6 hours and one arrives in Berlin. On the way it is great to break the journey and stop for a night in Poznan. Here the Old Town reflects 800 years of Poland history . Poznan is situated by Warta river and is proudly holding position of capital for GREATER POLAND region . Here at Saint Peter and Paul Archcathedral Basilica, the bodies of first rulers of Poland, Mieszko I and Boleslaw Chrobry are resting . Following day after a short 3 hours trip one arrives in Berlin, bustling capitol city of United Germany . 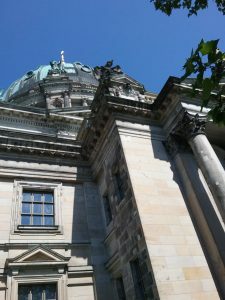 Here one enjoys visits to important places of Brandenburg Tor and the rebuild Reichstag . Walking by Spree river and visiting Museum Island to follow visit remnants of Berlin Wall which once divided this interesting city could be other way to sense the mood of Berlin . Visit to Charlottenburg Palace can provide feeling of a once powerful and mighty Prussian State , while area of the Gendarmenmarkt , is a visit to XVII century Berlin . From Berlin it,s a short 1 ½ hour smooth train ride on efficient German Rail system to LEIPZIG. This town which welcomes visitor through very impressive architectural jewel of Railway Station is associated with many musicians who resided there or were born in that interesting town . Johann Sebastian Bach, Georg Philipp Telemann, Felix Mendelssohn and Clara and Robert Schumann and also Richard Wagner, Edvard Grieg, Gustav Mahler were some of greatest composers who found Leipzig stimulating as to create and perform music for humanity’s benefit . MUSIC is like balsam for human being’s spirituality and that effects overall health of music lover . Old City Hall , City market Square. Great and unique concepts of urban design are various charming Leipzig passages to explore while in this interesting town. From here short visit to ERFURT also by train is recommended. 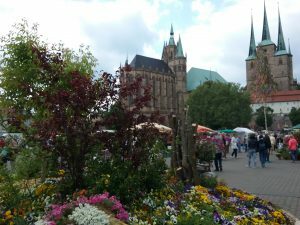 It is capital of Thuringia presenting its beauty attractively situated by Gera river . Here the branch of Gera river and Breistrom is spanned by truly charming Kramerbrucke . Bridge of famous Italian Florence bridge style . Back to Leipzig to catch the train to DRESDEN . Again in comfort and speed of ICE German rail . Short trip and one reaches the place which easily could be said is one of best examples of Baroque style cities. 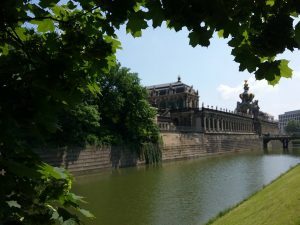 It has to be appreciated that Dresden suffered during WWII bombing and most of its architectural treasures had to be rebuild. ZWINGER PALACE shines as a jewel of this nicely positioned town on ELBE river. FRAUENKIRCHE can be said is truly remarkable art of reconstruction work of this church which was called most beautiful in its days of original glory . BRUHL’S TERRACE called also BALCONY OF EUROPE is a must to visit to assure the full extent of feelings for this great city . Dresden is town one can launch oneself again to Poland on the train which via BAUTZEN also called Budysin or Budziszyn by nations which are historically linked with this region of Germany , to Poland . Important fact is to note that this so lovely restored town of Bautzen was during 1025-1032 part of Kingdom of Poland. This town with many eye pleasing architectural structures is home of LUSATIAN SORBS , which are the western Slavic ethnic group . Few hours stop to appreciate Bautzen is highly recommended on way to Poland’s lovely region of Lower Silesia . 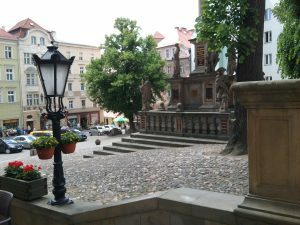 Town of KLODZKO , called in German GLATZ , GLACIO in Latin is considered to be LITTLE PRAGUE . From Klodzko short trip on scenic rail trip to KUDOWA ZDROJ , to stop for exploration of this truly beautiful , suitable for trekking area of GORY STOLOWE called Table Mountains. BLEDNE SKALY , SZCZELINIC are a must to explore. Some extraordinary walks through labyrinth of sand stone formations , which inspire one,s fantasy of seeing oneself in land of unearthly aura and spirituality provide unforgettable experiences of nature of Sudety Mountains . 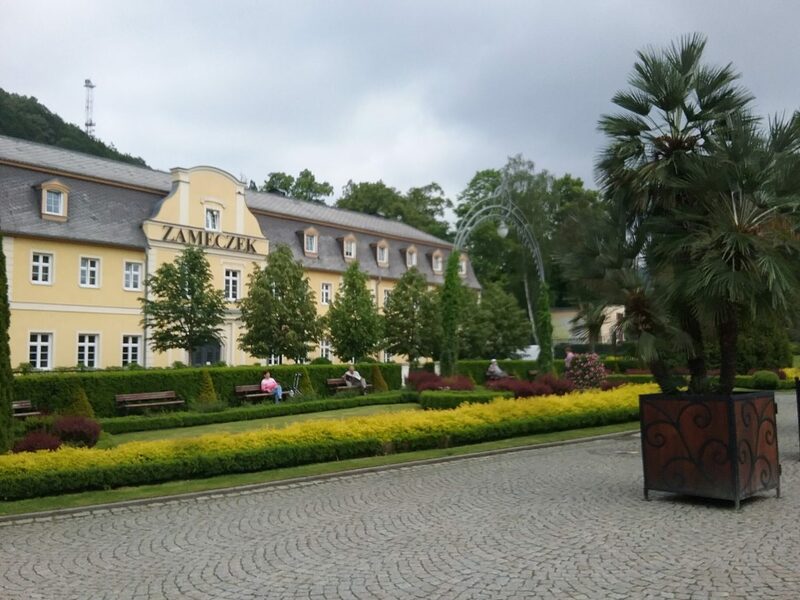 KUDOWA ZDROJ is also place one can visit from Duszniki Zdroj to get true flavour of these SPA resorts of south-west Poland . Beside beauty of nature , music dominates the area not only in the green forests of the mountains but also in concert halls as Duszniki Zdroj is famous for its CHOPIN PIANO FESTIVITIES , paying respect to Frederick Chopin who was visiting Duszniki Zdroj , while Kudowa Zdroj holds very interesting ballet-vocal Moniuszko music festival , which due to dedication of world renown polish vocalist Maria Foltyn provides joy of enjoying in beautiful enviroment, music and operatic creations of Stanislaw Moniuszko . On way back to Warsaw to finish this great circle tour of Central Europe one can stop for a night in WROCLAW, town of many bridges over Odra river and its canals to explore the early Piast history or its importance as the town of many cultures where commerce and culture flourished for benefit of contemporaries. Wroclaw , called Breslau in German was already in its early history mapped by ancient Claudius Ptolomy in years of 142-147 AD as Budorigum . 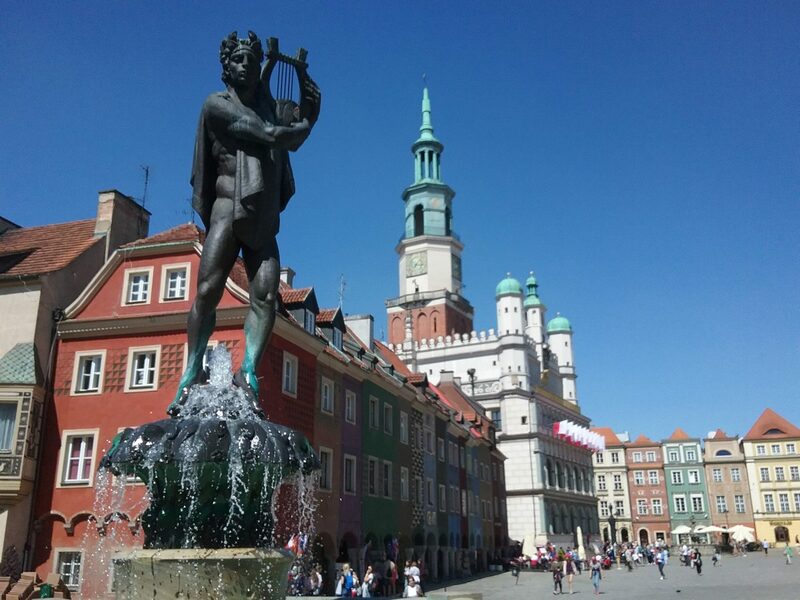 From Wroclaw on ICE train to Warsaw for further fun in the great cultural centre of Poland to experience opera , concert halls and overall mood of vibrant city .